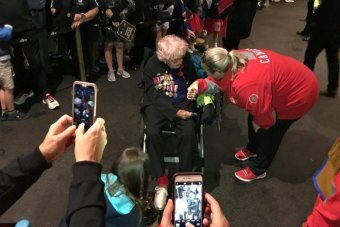 The fourth Invictus Games opening ceremony kicked off with at the Sydney Opera House after being delayed by intense storms across Sydney. Organisers postponed the ceremony from 7:30pm until 8:30pm — by the time the bagpipes fired up for the start, the weather had cleared. Thousands gathered to watch 500 athletes from 18 countries — including 72 Australian athletes — march through the forecourt. The competitors will compete in 12 sports across the week, with the golf and driving challenge — on Sydney’s Cockatoo Island today — already started. The Duke and Duchess of Sussex arrived at the venue for a reception ahead of the ceremony, with Prince Harry making his final speech preparations. VIPS and high-ranking dignitaries joined the royal couple at a reception tonight hosted by NSW Premier Gladys Berejiklian at the Opera House. Retired Australian cycling champion Anna Meares said she was “cheeky” by showing the Prince a newspaper cut out featuring a picture of him with his head in his hands. The shot was taken after Meares had just beaten her British rival Victoria Pendleton to win gold at the London Games in 2012. “He had a good laugh,” Meares, an Invictus Ambassador, said. “When I met her Royal Highness, Meghan, I said ‘it’s a real pleasure to meet you but I’m here to take the mickey out of your husband’. Former swim star Ian Thorpe acted as master of ceremonies at the reception, held before the official opening ceremony. The five-time Olympic gold medallist, a guest at the royal wedding of the Duke and Duchess of Cambridge in 2011, gave guests a quick briefing on Royal protocol before the guests of honour arrived. “If their Highnesses approach you, please don’t be scared,” he said. In her welcoming address to guests before Prince Harry and Meghan arrived, Ms Berejiklian apologised for the rain. “I am feeling incredibly guilty because of the weather … I know it’s not my fault,” she said. The Premier recounted the time she heard Prince Harry’s moving speech in June last year and how he was inspired to create the Invictus Games for wounded services personnel. 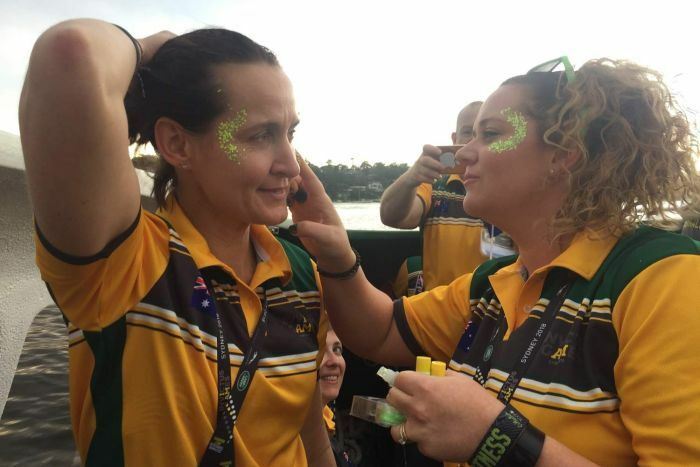 The Premier said Sydney would “embrace” the Invictus spirit for the duration of the Games, which will close next Saturday night at Quodos Bank Arena. “It’s a responsibility that we embrace with pride,” she said.